This is a 2015 Silent Auction Item. Click here to place your bid! 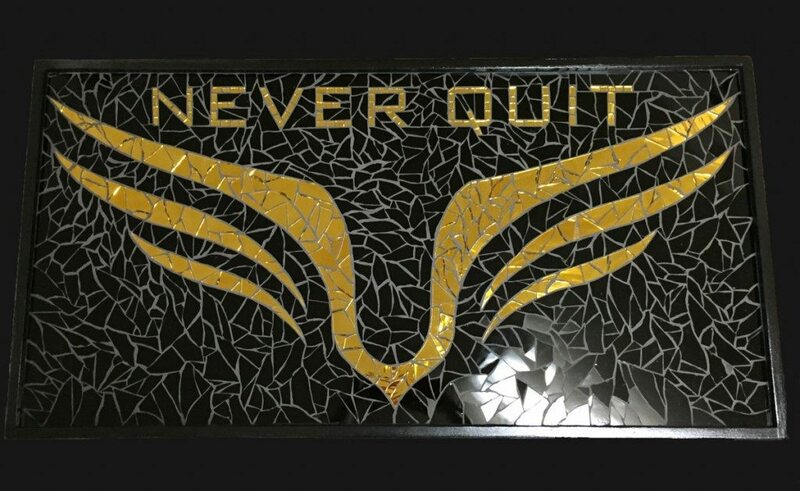 “The words “Never Quit” and the LSF logo are crafted using gold mirror. Every individual piece of glass is strategically placed until they combine to create one solid and powerful piece. A frame is then created and the grout is used to fill voids and strengthen the artwork. The entire frame is made from solid pine and hand painted with a high quality black semi-gloss exterior paint. This piece measures approximately 49.5″ x 25.5″ (1.5″depth).